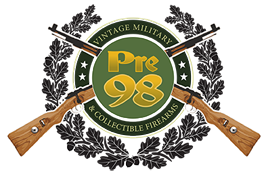 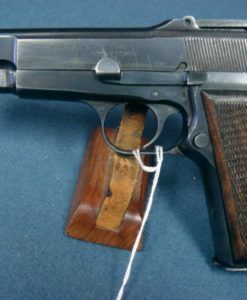 In 98% condition, we have a very sharp example of the WW2 era European Dutch Army Service pistol, The 9m/m short FN Browning M1922 Pistol. 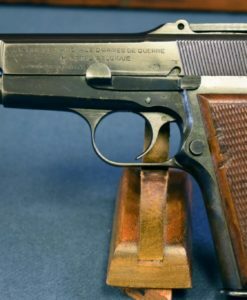 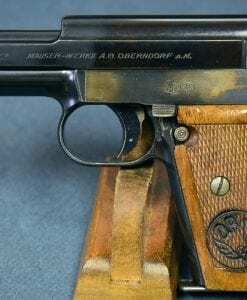 In Holland this pistol was known as the M25 No.2. 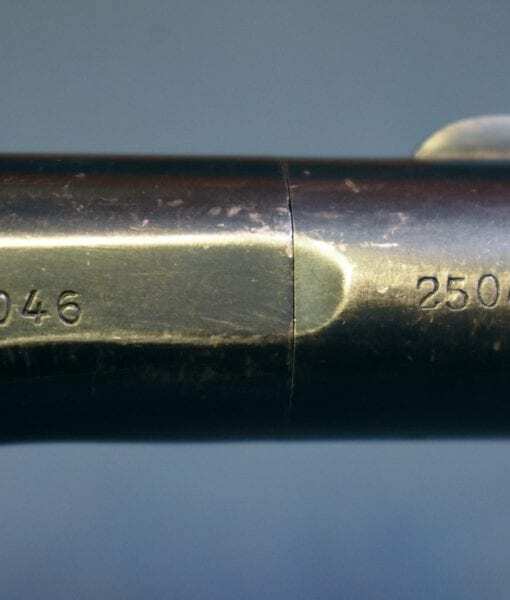 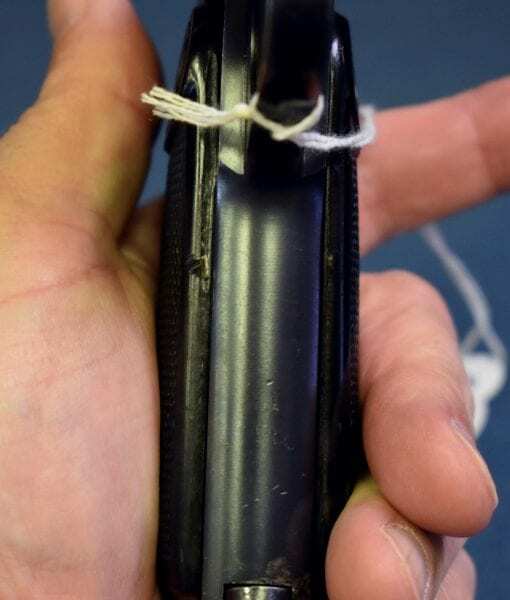 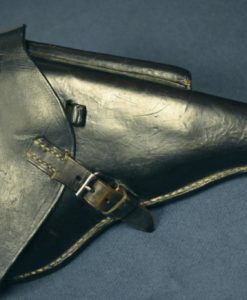 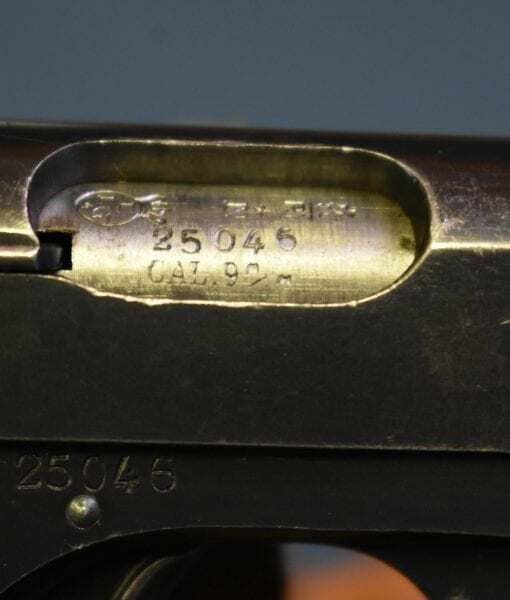 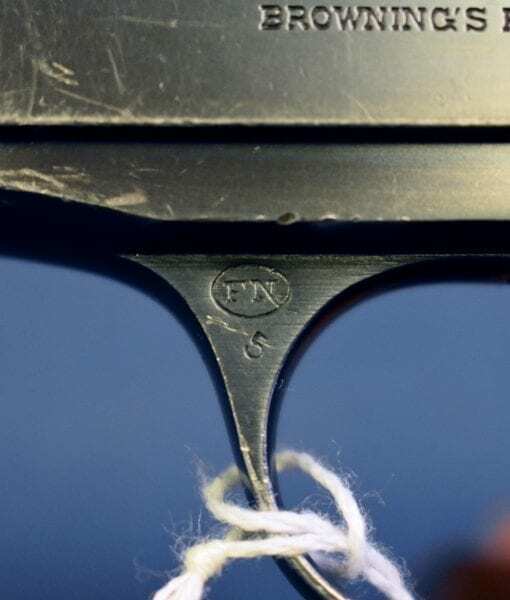 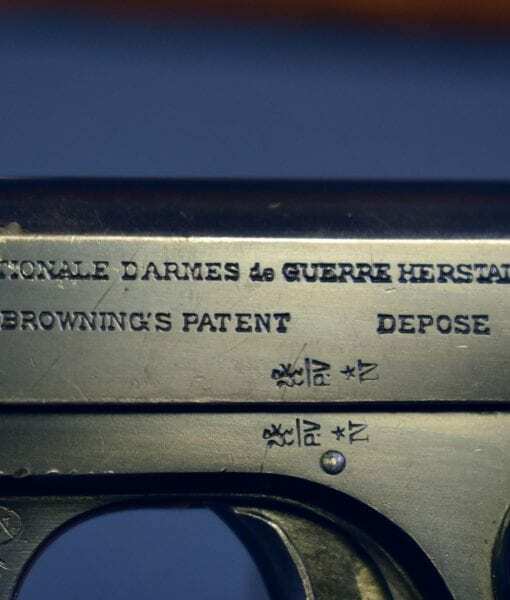 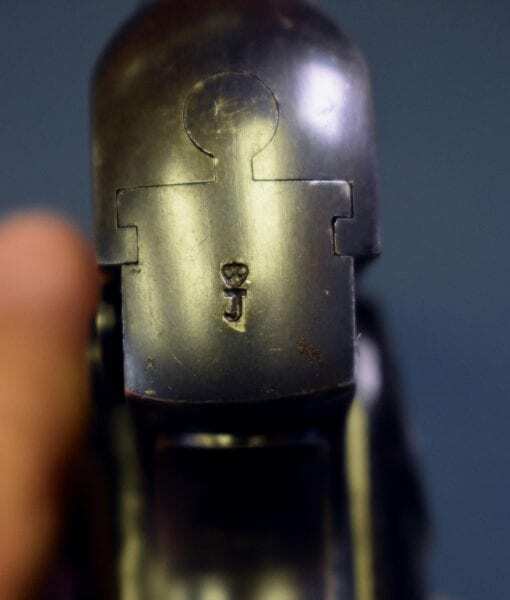 Pistol Collectors often refer to it as the FN Dutch Wilhelmina Pistol for the Crown W stamped on the top of the slide. 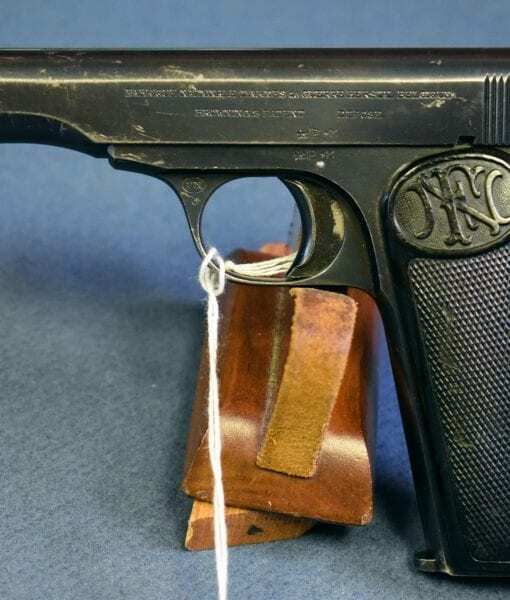 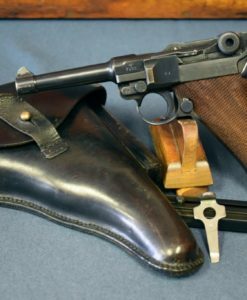 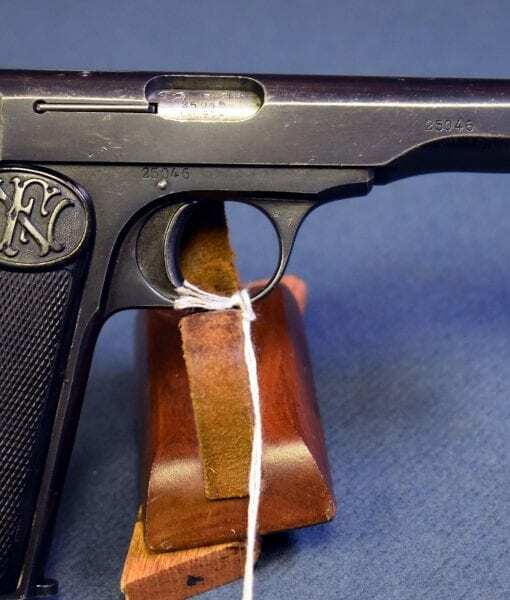 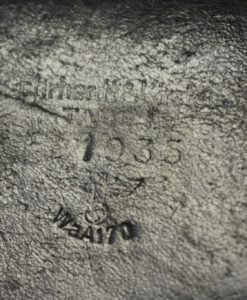 It was the standard issue weapon of the Dutch military during WW2 and large quantities were surrendered To the Germans and reissued to the Navy and SS and also to the Army to a lesser extent. 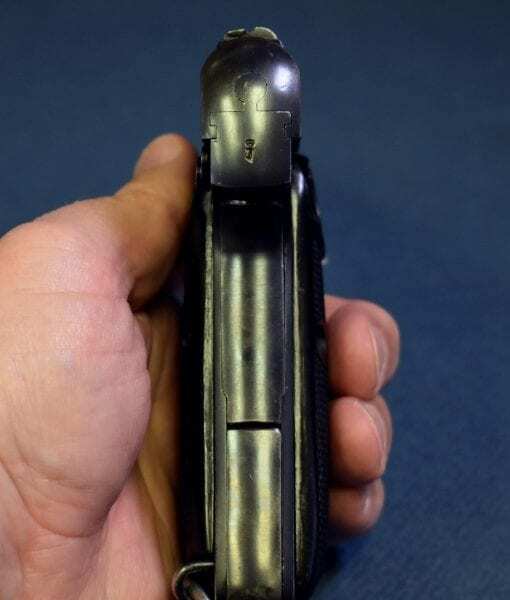 The pistol is all matching and has a mint bore. 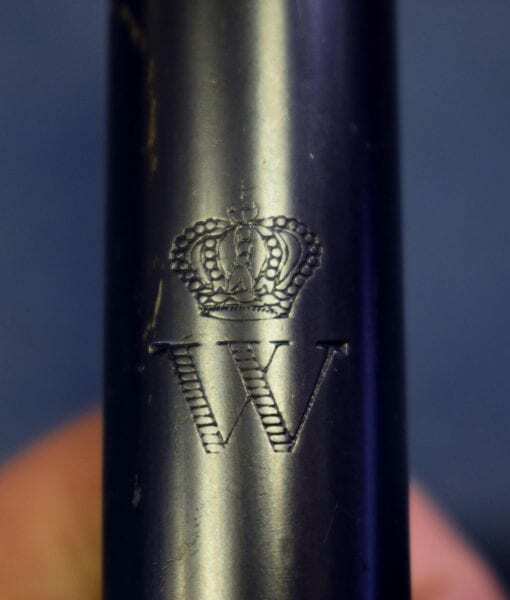 Like almost everything that we peddle, this is a top condition example.